EDITOR'S CHOICE: We've handpicked the best of the best wedding venues in Melbourne to help you pick the right one for your big day. If you’re looking for the best wedding venues Melbourne, your biggest challenge will be choosing just one. Coming in as the second largest city in all of Australia, Melbourne is a culturally rich metropolis that has a little of something for everyone! Whether you are after the best indoor wedding venues, the perfect beachfront wedding venue, an intimate garden wedding venue, or an elegant hotel wedding venue, Melbourne has it all! Undoubtedly one of the most popular wedding venue choices in all of Melbourne is Crown Melbourne! This amazing choice located in Southbank, Victoria is impressively versatile meeting the needs and desires of almost anyone. Multiple specific venue options give you choices ranging from an intimate garden room wedding with as few as 40 guests all the way to an extravagant grand ballroom wedding with up to 1100 guests! Add in exceptional restaurants, stylish bars, premium hotels, and a luxurious day spa for everything you need for your special day. At Crown, you’ll have experienced wedding planners guiding you in planning every detail from start to finish to ensure you get the most perfect and unforgettable wedding experience! Choose a rustic timber chapel, a lovely wrought iron cupola, or stunning gazebo for your ceremony location at Tatra Receptions in Mount Dandenong, Victoria. All of these can be found within the more than 10 acres of splendid gardens surrounded by the remarkable Dandenong Ranges forest! After the ceremony, you can join your up to 250 guests in Tatra Receptions’s spacious ballroom for an incredible reception. The ballroom features a brand-new Calcutta marble bar, dance-floor, and even a fireplace! Tatra Receptions provides everything you need from start to finish including an adorable woodland-themed bridal dressing room, delicious catering, and even 28 studio rooms that make the perfect accommodation for your guests. At Leonda by the Yarra, you’ll choose between two amazing indoor spaces and one picturesque outdoor space for your ceremony location. 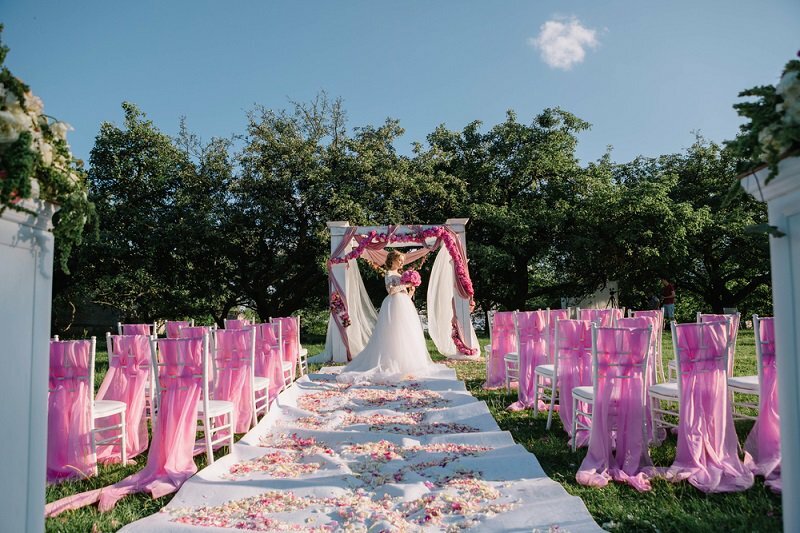 Their all-inclusive package options take all of the pressure off you from day one of planning, so that you can easily enjoy this special time completely stress-free! Your dedicated wedding planner will take care of every detail to your exact specifications. Up to 400 guests will join you in Hawthorn, Victoria – just a few minutes from the CBD – on the iconic Yarra river. Pillarless spaces, a customized menu, and floor to ceiling windows make for a waterfront wedding that won’t soon be forgotten. For the perfect Melbourne beach wedding, look no further than Brighton Savoy Weddings right in Brighton, Victoria! Choose a wedding ceremony on the actual beachfront or at multiple locations on the beautiful Brighton Savoy property. From there, you’ll have four different choices of gorgeous rooms to pick from for your picture-perfect reception of between 30 and 220 guests. Your guests will appreciate the free on-site parking, pre-dinner drinks, and canapes! You’ll also enjoy access to a wonderful array of lovely photography locations to help capture your big day. This includes the world-famous Brighton Bathing Boxes! Located in the middle of Yarra Valley in YarraGlen, Victoria, Balgownie Estate is the ideal location for the perfect winery wedding! This sophisticated Melbourne wedding venue conveniently puts everything you need into one single location. Up to 150 guests can join you for your stunning ceremony without having to drive to a new location for the following reception. Guests can even stay the night in the 4.5-star Balgownie Estate resort providing the perfect accommodation. You and the bridal party can also indulge in a relaxing spa-day leading up to the main events thanks to the Natskin Day Spa Retreat. This fine Victorian Estate centrally located in East Malvern is the perfect wedding venue for a variety of styles. Choose a garden ceremony, a Gatsby-style wedding, cocktail-style reception, sit-down banquet, or even a renowned high-tea wedding! You’ll enjoy catering for up to 250 guests if you choose a cocktail-style reception or up to 120 in a more formal sit-down setting. The Gables was originally built in 1902. Today, it still holds onto much of the original architecture and has a unique and historical feel perfect for a truly memorable wedding. Traditional decorating, crystal chandeliers, open fireplaces, a sweeping staircase, and high ceilings all help contribute to the perfect atmosphere of this classic wedding venue. Looking for an upscale hotel wedding? Park Hyatt Melbourne has it all! Multiple ceremony locations throughout the stunningly-designed hotel promise the perfect compliments to your own personal style and desires. Elegant Italian marbling, stunning wood paneling, a sweeping grand staircase, and more all come together to provide the perfect romantic setting. Multiple wedding packages help to cater to a wide variety of budgets to fit your needs perfectly. Speaking of catering, you’ll be able to choose from a multitude of pre-set menus from the award-winning culinary kitchen or even go ahead and consult with the executive chef to design your own ideal meal experience. This lounge in Melbourne, Victoria is fantastic for chic and modern wedding receptions. The penthouse space offers fantastic, panoramic views of Melbourne, which is sure to wow—especially at night. There are two levels available for your wedding reception, decorated in a modern and eclectic French / Art Deco style. See this space for yourself at their Facebook! What could be more elegant than a castle wedding? This picturesque wedding venue was built all the way back between 1849 and 1859 as an incredible family home in Keilor, Victoria. For over 30 years now, it has instead been the location of thousands of captivating wedding celebrations. Overnewton Castle has a Scottish Baronial style even featuring a charming chapel with original oak wood panels that were carved and delivered directly from Scotland during the original building process. Have up to 250 guests join you for an enchanting ceremony in the English gardens or a splendid chapel event. Enjoy Overnewton Castle’s venue spaces for a jaw-dropping reception filled with traditional style overlooking the exquisite castle grounds! This stunning Victorian mansion has been wonderfully restored to hold onto the original charisma while now providing perfect contemporary services. Having your wedding at Ascot House means you are guaranteed an exceptional staff with phenomenal service for your big day. That includes an expert function manager that will ensure every detail of your day goes as smoothly as possible. You can invite up to 200 guests to join you in your choice of ceremony and reception location. Two full acres of beautifully illuminated gardens, antique gilt mirrors, marvellous ornate fireplaces, a remarkable front veranda, central ballroom, private bridal suite, and more provide you with everything you need for an unforgettable day! Is your venue not listed? Get in touch to find out how to get featured in the 2019 update of this article! This boutique wedding ceremony and reception in Melbourne, Victoria is absolutely to die-for. If you love flowery arbours and modern and chic designs, then this is the wedding venue for you. Plus, they have fine-dining meals made from seasonal ingredients. The architecture and décor provide amazing backdrops for your wedding photography—there’s a stone terrace, stained glass, and antique furniture. Don’t miss out and check out their Facebook too! Aria at Windmill Gardens is a gorgeous wedding venue located in Sydenham, Victoria, and features manicured gardens. They also offer an experienced wedding coordinating team, including caterers. Their 11 acres includes a lovely garden gazebo with the lake as its backdrop, and a chapel, with stained glass windows. Your reception can then take place in their dining room, surrounded by a panoramic, 360-degree balcony. Remember to visit their Facebook for more information! In Chirnside Park, Victoria, you can find a beautiful Yarra Valley vineyard wedding venue for both your ceremony and reception. They offer a picturesque timber chapel with views of the vines and the rolling hills of the valley. This venue is located just over 30 minutes away from Melbourne. Don’t forget to take a few photos of you and your new spouse strolling through the vineyard! Take a look at the photos on their Facebook page! Another vineyard that we love in the Melbourne region for wedding ceremonies and receptions is Inglewood Estate in Kangaroo Ground, Victoria. They have a lovely chapel available for your wedding ceremony, covered in ivy and featuring a lovely chandelier and timber arches. Your reception may be held in the hay shed. The estate also offers Inglewood Cottage as an exclusive bridal suite. Make sure to check out their Facebook for more information and photos today. This stunning waterfront venue can be found in Port Melbourne, Victoria. They offer spaces for both your wedding ceremony (by the water, on the dock, or under the gazebo), and your reception. Their chef has experience in Michelin star restaurants, so you can be sure that your menu will be delicious. Their packages begin at $100 per head. Find more information on their Facebook page. Located in South Morang, Victoria, Farm Vigano is one of our favourite wedding venues in the Melbourne region. Your wedding reception can be held in the Grand Dining Room, Gala Room, or Italian Terraza. If you are looking for a wedding venue with the European class with a touch of country charm, and you love Italian cuisine, this is for you! Send them any inquiries through their Facebook! This beautiful estate can be found in Digger’s Rest, Victoria, and offers many options for your wedding ceremony and reception. You can hold your ceremony by the tiered waterfall, under one of their numerous arches (Bridal, Horseshoe, Wine Garden), or under the trees. This family-owned vineyard is only 40 minutes away from Melbourne, and their packages start from $1,500 for hire and $85 per head for dinner. Consult their Facebook with any questions! A zoo might not be your first choice for a wedding ceremony and reception venue—but think again! The Melbourne Zoo in Noble Park, Victoria, has many stunning locations, including the beautiful Butterfly House or in the bamboo forest. They also offer a team of wedding planners, including coordinators and stylists. If you get married in the spring, you must take some photos by the flowering cherry trees. Check out their Facebook for more photos and reviews! If you are looking for an urban, warehouse venue that you can transform and customize to your exact specifications, then Two Ton Max in North Melbourne, Victoria, is perfect for you. This is the blank canvas that you have been dreaming of, and it comes with a full-service, marble bar, kitchen, and air conditioning. The space also offers a small private garden as well as skylights that let in natural light, for those planning afternoon events. Check out their Facebook today. This Keilor, Victoria wedding ceremony and reception venue is great for those couples hosting both large and intimate wedding parties. Plus, they have a large dance floor in their ballroom, which also features floor-to-ceiling windows and lots of natural and overhead lighting. They offer four spaces: the Ballroom, Brimbank (cocktail lounge), Savoy, and Astoria. Capacity: Ballroom(500 seated), Brimbank (250 seated), Savoy (140), Astoria (100). In Eltham, Victoria, you can find a lovely lakeside wedding venue, complete with a beautiful gazebo, garden, or chapel for your wedding ceremony and photography. They also offer high-tea, which is perfect for lunch-time receptions, or for your bridal shower. Seated dinner receptions can be held in their ballroom, and are offered in three packages: the platinum, diamond, and mid-week. More information can be obtained on their Facebook! You may be surprised to find that the Observation Wheel of Dockland, Victoria offers a wedding ceremony and reception space, but imagine the stunning views! You can arrange to say “I do” at the top of the wheel in an intimate ceremony or host a seated dinner in one of their reception spaces, such as the Star Departure Lounge. And it all starts from only $1,000! Find out more on their Facebook! The name of this event space in Abbotsford, Victoria might be misleading, but it’s not just for kids! The space is also available for weddings and other functions, and is so beautiful as it sits next to the Yarra River. For those couples looking for something rustic and simple, the Farm is a perfect choice. Their Farm Café also offers private and intimate wedding festivities. Take a look at their Facebook for more information and photos! For those couples who are a fan of art deco, but still want a modern and luxurious space for their wedding ceremony and reception, look not further than this Melbourne, Victoria space. The ballroom is huge, and ideal for larger wedding parties, or those looking for a big dance floor. Check out their Facebook photos for examples of how the space can be decorated. If you and your fiancé are looking for something supremely elegant, look no further than the Luxor of Taylors Lakes, Victoria, with its Ballroom / Alexandria room. They have experience with cultural weddings, such as Asian and Indian ceremonies. There is also a gorgeous grand staircase, perfect for wedding photography (check out their Facebook for examples). Looking for beautiful bay views for your wedding ceremony and reception? Then you’ll fall head over heels for the Pier of Port Melbourne, Victoria, which offers multiples spaces, including a beach bar, lounge, cocktail room, and bay room. Their packages range from $40 – $80 per head for cocktail parties, and $65 – $100 per head for seated dinners. Take a look at their Facebook for more information! If timeless and classic is your style, you have to check out the glass conservatory at St. Andrews Hotel in Fitzroy, Victoria. Your guests will be simultaneously amazed and jealous at this elegant cocktail and seated wedding reception venue, and you’ll be so glad to have their experienced wedding coordinator take care of everything. Take a look at their stunning space in their Facebook photos. This Kew, Victoria, wedding venue is located by the Yarra River, and offers several locations for your wedding ceremony and reception: the Balcony, Terrace, or on the Riverbank. Just imagine dancing together for the first time as a married couple, under the stars and next to the flowing river! You’ll be sorry you missed out on this historic location, with its old elm trees and lovely surrounds. In Preston, Victoria, is a wedding venue that provides everything you can ask for: indoor and outdoor locations, including beautiful gardens, wedding coordinators, accommodations, marquee, pool, catering, entertainment, and more. Bell City has it all—and it starts at $900 for your ceremony and $105 per person for your reception. Don’t forget to check out their Facebook! This Melbourne, Victoria hotel is known for providing their brides and grooms with custom and personalised wedding celebrations, all planned and coordinated by their dedicated team. They will deliver your dream wedding on the ground floor or in the function room, with food and beverage packages to suit—the bartenders will help you design signature cocktails, and there are even 10 beers available on tap! In Rockbank, Victoria, you can find another vineyard and events centre that also comes with a charming waterfall, gardens, vineyards, gazebo, and courtyard that are just perfect for your wedding day festivities and photography. The timber ceilings of the reception room can be strewn with twinkling lights to give that feel of a starry night. Take a look at their photos on Facebook today. In Elsternwick, Victoria, you can find the Ivory, which is a dream come true for those brides and couples looking for something classically romantic for their wedding ceremony and reception. The ballroom is perfect for your reception of up to 350 guests for a formal seated dinner, and surrounds a large dance floor where you can showcase your moves! Your ceremony can be held on the rose-garden terrace, up against the Georgian architecture, iceberg roses, and wisteria arbors. There’s also a bridal suite! Check out their Facebook for more information today. This Docklands, Victoria wedding planning service and venue offers gorgeous waterfront views and all the luxury the city has to offer. We love the high ceilings and panoramic views of the surrounds, Melbourne skyline, and waters from the floor-to ceiling windows. They host both formal seated dinners and cocktail style wedding receptions for large and small parties. Take a look at their Facebook for photos of real weddings! If your heart is sent on that fairy-tale wedding of your childhood dreams, then look no further than the Avalon Castle in Cockatoo, Victoria. The castle’s walls are covered in gorgeous ivy, and the gardens are well-kept and manicured—perfect for your bridal photography. This wedding venue can host up to 120 guests, with your ceremony in the garden gazebo or chapel (with stained glass) and your reception on the grounds on in the dining room. Make sure to visit their Facebook for photos of the castle and grounds. For those couples that are looking for a ceremony and reception venue that offers everything, including luxurious accommodations for you and your guests, consider the Grand Hyatt in Melbourne, Victoria. As soon as you walk into the exquisite foyer, you know that you’re in good hands. There are a whopping 15 event spaces that you can choose for your wedding ceremony and/or reception, including the Savoy and Mayfair Ballrooms. For more information on packages and pricing, check out their Facebook. This restaurant in Melbourne, Victoria, provides their clients with the most impeccable and unforgettable fine dining experience—and the spaces are gorgeous to boot. There is the Rialto (55 floors above the city, with stunning views and a max of 230 guests), Jardin Tan (in the Royal Botanic Gardens), Piggery Café (more rustic, in Sherbrooke Forest), and IkiJime (max 40 guests, local and ethical ingredients), but they also create events in spaces that you love as well. You can find more photos of this restaurant and their food at their Facebook page. This venue and wedding planning service can be found in Melbourne, Victoria, in Wattle Park, between the Hercules and Damper Creeks. The Chalet is a listed heritage site and boasts 137 acres of beautiful grounds, including a private garden that is perfect for your wedding day photos or your ceremony. If you love the style of the 1920s, this is your venue. They can also host up to 200 guests seated or 250 for a cocktail wedding reception. Visit their Facebook today for more photos of this picturesque location! This event space and planning service in Melbourne, Victoria is devoted to helping you plan and host the wedding of your dreams. They create small and large weddings and have experience with a diversity of customs and cultures, so you can be sure they will be able to help you out with everything they even offer different menus, including the Asian Banquet and Kosher menus! Look at their Facebook page and photos to get a good feel for this space and their weddings. In Richmond, Victoria, you can find Fenix Events, a party and entertainment as well as wedding planning service. Your wedding reception will be held at their beautiful waterfront location on the banks of the Yarra River, and you can be sure no guests (max 300) will complain about the chicken being too dry, because their food has won national awards. Your wedding ceremony can be held next to the river on their beautiful Terrace. For more information, consult their Facebook. South Wharf, Victoria has a gorgeous wedding reception venue that is also on the banks of the Yarra River. You can be sure we aren’t leading you astray here ladies—this venue has won Australia’s Best Reception Venue title, and it’s no wonder! The space marries the industrial and romantic so effortlessly and also features the original timber floorboards. This wedding receptions pace can host up to 230 guests for a formal seated dinner. If you’re looking for more photos or inspiration, check out their Facebook page today. In Thornbury, Victoria, lies a picturesque wedding ceremony and reception venue—and it’s so stunning that you’ll want to take your wedding photography here as well. They can host wedding events for up to 220 guests, who can enjoy a delicious catered meal and then dance their hearts out on the parquet dance floor. They tailor your menu to your preferences as well! We’ve mentioned RACV venues a couple of times before in other regions and locations, and we’re mentioned them again—we can’t help it! 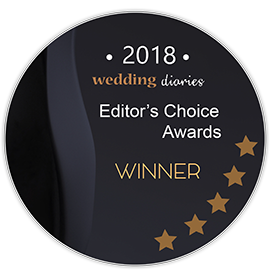 They’re amazing venues for wedding ceremonies and receptions, and their Melbourne, Victoria location is no exception (it’s also won some awards). You have the choice between Level 17 (340 guests) which has access to the rooftop, the Club Pavilion (floor to ceiling windows and beautifully modern), The Club Conservatory, and more. Visit their Facebook page today for more information. We love winery weddings—they’re so romantic and idyllic, and strike that perfect balance between rustic and elegant. This vineyard in Lancefield, Victoria is one of our favourites because it’s just so pretty, with its surrounding waters, rolling hills, and 100 acres of gorgeous property where you can hold your wedding ceremony. Your wedding reception can be held in the Great Room with vaulted timber ceilings and floor-to-ceiling windows. Find out more at their Facebook. Brookwood Receptions of Thomastown, Victoria, offers two wedding reception spaces, the Nova Room and The Ballroom for your wedding festivities with room for up to 550 guests. They also have a team of experienced wedding coordinators who are eager to help you with every step of your wedding planning. We love that they also offer complimentary snacks and drinks in their foyer upon your guests arrival, which is perfect for cocktails while they wait for you to take your wedding photography. This Melbourne, Victoria event space and wedding planning service is perfect for those brides and couples who just love the European style and architecture but don’t want a destination wedding (or the costs of one)! They offer bespoke packages so that you can create the ideal wedding experience for you. We love the chandeliers in the Gallery (which can hold up to 400), but the Garden Room is beautiful too (up to 200). Epping, Victoria is home to a wedding ceremony and reception venue for those brides and couples looking for something classic and luxurious. They offer many different spaces, including their grounds, Regency Room (our favourite, with gorgeous chandeliers and huge dance floor), Georgian Room, The Grand Ballroom, and The Courtyards. If you love French-Georgian architecture from the 18th century, make sure to check out their Facebook photos! This adorable coffee shop in South Yarra, Victoria, also offers wedding ceremony and reception spaces and catering. It is in the Royal Botanic Gardens, and so is surrounded by lush, natural beauty, including the Ornamental Lake. The space can host 180 guests (sit down), all of whom will be stunned by the floor-to-ceiling windows and luxurious, modern space. Visit their Facebook for photos of real weddings. In Bulleen, Victoria is a events and planning service that is just ideal for your wedding reception—and it’s just next to Bullen Park, which is perfect for your bridal and wedding photography. Their Grand Ballroom offers panoramic views of the golf course and surrounds from floor-to-ceiling glass windows, and also features a parquet dance floor. Take a look at their Facebook for more information about this space. In St. Kilda, Victoria, is a beautiful beachside wedding venue that is a must-see. Take photos with Port Philip Bay as your backdrop! We love that the venue can host up to 300 guests seated and offers customizable menus for your wedding cocktail hour and reception. The space is so modern, luxe, and chic! Check out their Facebook photos of real weddings! Lyrebird Falls is the perfect boutique Melbourne wedding venue! Inside of the beautiful evergreen Dandenong Ranges forest, this is a wonderful choice for a slightly more intimate wedding. A maximum of 120 guests can join you for a perfect wedding ceremony at your choice of three locations. Pick a darling garden wedding, an ornate gazebo ceremony, or get married in their delightful chapel. Floor to ceiling glass windows open up the newly refurbished dining room to the lush forest, beautifully-tended gardens, and even a cascading waterfall. Customize your wedding with your favourites including fresh floral arrangements,broad menu options, multiple colour themes, and more! With so many incredible wedding venues, it can be difficult to choose where to have your perfect Melbourne wedding. Narrowing it down to the most popular and trusted Melbourne wedding venues should be helpful. Make a list of the most important things to you and sit down with your soon-to-be-spouse to make a final decision. Just remember that you can’t go wrong with any of these lovely choices. Congratulations on the start of this amazing new life together! As the largest city in Victoria, and the state capital, Melbourne and the surrounding areas have a lot to offer for couples looking for wedding ceremony and reception venues. The stunning Port Phillip Bay and the neighbouring Dandenong ranges, as well as the Yarra Valley are all encompassed in this stunning region, and as such there are numerous types of venues available for couples with varying styles and budgets. Melbourne wedding venue hire fees can cost as much as $4000, but you can find some spaces for as little as $1500. Of course, you also have to factor in catering, décor, planning, coordination, linens, beverages, cocktails, and so on. The average cost of a wedding venue is approximately $15,000 in Melbourne, but this may or many not include taxes, gratuities, and other extra fees. The most popular wedding venues in Melbourne and the surrounding areas are in the form of hotels, waterfront venues, golf clubs, and private country estates (including vineyards). You name it, you can find it—everything from modern, city class and elegance to simple, laidback, and country vibes. There’s something for everyone! The Melbourne Airport makes it easy for your international and out-of-state visitors and wedding guests to attend your special day. It is located only a 30 minute drive away from downtown Melbourne (22 km), so you can be sure everyone will be able to reach and find your venue and their accommodations with ease. There are plenty of hotels and Airbnb’s available in Melbourne and the surrounding area, starting from $60 and reaching above $300 per night. Generally, the hotels in the city and near the bay do tend to be more expensive, but there are plenty of affordable options for your guests with a smaller budget. For these guests, they can also take advantage of Airbnb listing, with some of the most popular rooms and homes in the city starting at approximately $50 per night. When booking a hotel block, don’t forget to ask for preferential rates! Melbourne, Victoria, is fairly temperate and warm year round. The summer months, November to March can get quite hot, with a high of 26oC in January, and a low of 12oC in November. The winter months are somewhat cooler, with a high of 15oC in August and a low of 7oC in July, but your guests won’t be uncomfortable, especially with an indoor reception. You can expect little precipitation during the summer months, with an average of approximately 5 – 6 days of rainfall each month, but if you are planning an outdoor wedding ceremony or reception, it is still advisable to make sure that your wedding venue has a backup indoor location on hand in case of inclement weather. There are also plenty of gorgeous indoor wedding venues for those looking to get married off season—and you’ll save quite a bit, too!